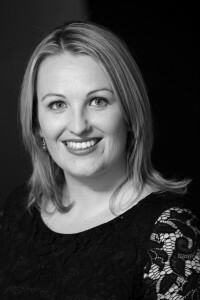 Samantha (Sam) has over 10 years’ experience working in marketing, communications and events for corporate clients in the retail and hospitality, not-for-profit and professional services sectors in both regional and metropolitan areas. Sam’s experience includes extensive brand management and development, strategic marketing planning and targeted on-brand marketing communications (marcomms) for a range of clients on a consultancy retainer basis. Most recently, her marcomms activities for a significant regional hospitality client resulted in across the board increased revenue and a 59% market penetration within the first year. Tasked with the rollout of a new brand at Gadens Lawyers and the C.ex Group among many others, Sam ensures brand consistency by engaging staff and clients through cutting edge electronic communications and marketing strategies. She has managed various corporate events and fundraisers for Gadens Lawyers, Middletons Lawyers, the Cell and Gene Trust and Coffs Harbour Surf Lifesaving Club. Sam holds a marketing degree from Southern Cross University and is currently studying to gain her Chartered Marketer qualification from the Chartered Institute of Marketing in London.